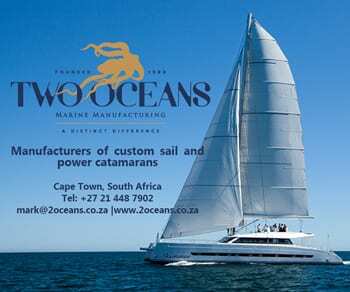 Two Oceans Marine Manufacturing was founded in 1989 and has evolved into one of South Africa’s leading custom boat and yacht manufacturing yards, specializing in custom and unique builds. 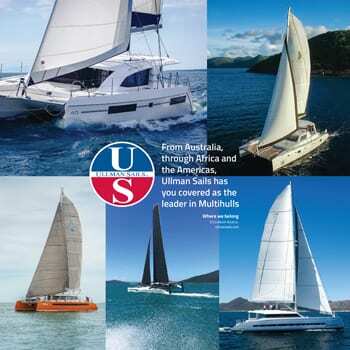 Based in Cape Town, Two Oceans Marine manufactures both power and sailing catamarans ranging from 7.3 meters to 25 meters in size – for cruising, leisure, day charter and commercial use. With 29 years of experience in quality boat building, the staff and production team at Two Oceans Marine are actively involved in all sailing, boating, fishing and water sport activities and share a wealth of knowledge and experience in all aspects of the sport – and the boats used. Two Oceans Marine Manufacturing specializes in custom and unique builds and offers the full range of services needed when buying a custom boat, from conceptual design to mold and plug building to turnkey projects. The company has 4,500 square meters of covered factory floor space on two different premises, one in Cape Town harbour and the other located 3 km from the harbour. The factory can accommodate vessels of up to 40 m in length and is ideally situated in the Cape Town Port, close to launching and berthing facilities, and the ocean for extensive testing of the boats. 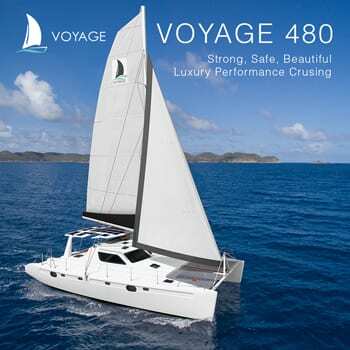 Potential clients can fly to Cape Town, sea trial the vessel of their choice, visit the factory to witness the building methods, and the materials used in production . . .